Vice President Constantino Chiwenga yesterday met leaders of the Roman Catholic Church as part of Government's efforts to build a common understanding between the State and the church on issues affecting the country. His visit follows President Mnangagwa's invite last week for a national dialogue among heads of the country's political parties, religious and civil leaders, whom he urged to set aside differences and come together in the furtherance of the national interest. The Head of State's call came on the back of deadly disturbances instigated by the opposition MDC-Alliance and its civil society partners that resulted in the loss of lives and destruction of property. Six people died and goods worth million of dollars were looted by violent protestors who also damaged property worth millions of dollars in the different cities and towns. 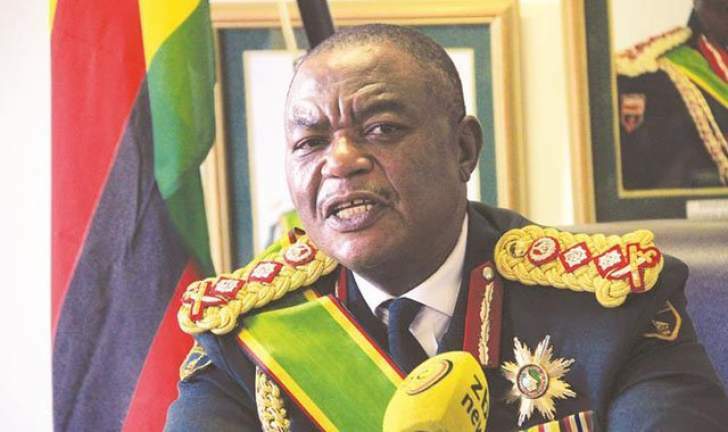 VP Chiwenga told the clerics, who were led by Zimbabwe Catholic Bishops Conference secretary-general Father Frederick Chiromba, that Government's doors were always open for engagement. Speaking after the meeting VP Chiwenga, who was accompanied by Minister of Defence and War Veterans Affairs Oppah Muchinguri-Kashiri and other officials, highlighted the importance of mutual understanding between the church and Government. He said: "We were sharing our ideas on our country with the church and the church sharing its ideas with us. We need to give them what we are doing in the economy. "We give them what we want to do about our relations between the church and Government. We have always engaged and I am catholic myself." Father Chiromba said the meeting was at the request of the Vice President who wanted to brief the bishops on the current affairs in the country. "He wanted to brief them (bishops) on the current situation and that is what he did," he said. "The bishops also responded and asked for clarifications in some areas. "The main outcome is that Government is keeping an open door for the church so that the church can go to Government and ask for information and other issues. It was simply to get an understanding of the current situation and what we have to do as a nation to bring national cohesion." "At the moment we do not want to go into details. Current affairs touch on everything in the country and the discussions were very broad, covering everything and anything that is of concern to Zimbabweans at the moment," he said. Father Chiromba confirmed they also discussed the violent protests. "Yes, we would not want to go into details at the moment but it was simply to get clarification and that was given. "We will be engaging further on these issues. It is the beginning of a process and we would not want to pre-empt. "We simply wanted to get an understanding of what provoked this situation, to get a common understanding in that area on why we are where we are at the moment and moving on how the church and Government can collaborate so that we move beyond this situation towards the Zimbabwe we want," he said. The violent demonstrations, which is part of the regime change agenda by opposition political parties and their foreign agents, saw at least 1 100 people being arrested.